Ford hired 300 new employees and invested $129 million to build the Lincoln MKC in Louisville, Ky., starting with the 2015 model year. 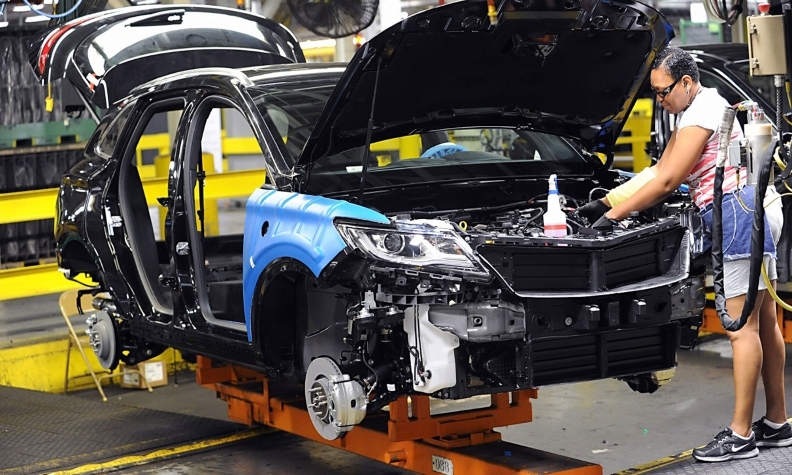 DETROIT -- Ford Motor Co. had considered moving production of the Lincoln MKC to Mexico, but instead the compact premium crossover will remain at the Louisville Assembly Plant, the automaker confirmed Thursday night. Ford spokeswoman Christin Baker said the Cuautitlan plant had been the "likely" new plant for the MKC when the automaker's deal with the UAW expires in 2019. But now the automaker plans to build the next generation of the MKC in Louisville, Kelli Felker, Ford's global manufacturing and labor communications manager told Automotive News late Thursday. Baker said the automaker "confirmed with the President-elect that our small Lincoln utility vehicle made at the Louisville Assembly plant will stay in Kentucky." Ford never had plans to close the plant, as Trump suggested. The president-elect appeared to take some credit for the decision on Twitter. "I worked hard with Bill Ford to keep the Lincoln plant in Kentucky. I owed it to the great State of Kentucky for their confidence in me!" Trump said. “We continue to engage with President-elect Trump's team -- and the new Congress -- as they shape the policy agenda for 2017,” Baker said in a statement. “We have shared our commitment to continue investing in the U.S. and creating American jobs -- building on the $12 billion we have invested in our U.S. plants and the nearly 28,000 U.S. jobs Ford has created in the past five years. Ford continues to employ more American autoworkers and produce more American made vehicles than anyone. Ford did not immediately respond to a question about what role Trump played in its decision. It’s also unclear when exactly Ford made its decision to keep the MKC in Kentucky. He said union leadership would visit the plant in the coming days to speak with rank-and-file in person. The UAW was not aware Ford was planning to move the vehicle to Mexico until Trump’s tweet, according to a source with knowledge of the situation. The MKC represented about 9 percent of the 421,079 vehicles built at Louisville Assembly last year. Ford built 37,376 Lincoln crossovers in 2015, while it built 383,703 Escapes. Through the first 10 months of 2016, MKC sales are up 2.4 percent to 20,702.